Beauty and the Beast Los Angeles Premiere! Emma Watson! Dan Stevens! Luke Evans! Celine Dion! Matt Damon! And More! Beauty and the Beast London Premiere! Emma Watson! Dan Stevens! Luke Evans! Emma Thompson! Ian McKellen! And More! 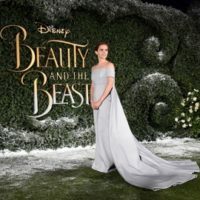 Beauty And The Beast Shanghai Premiere and First Look! Dan Stevens! Emma Watson! Luke Evans! And More!